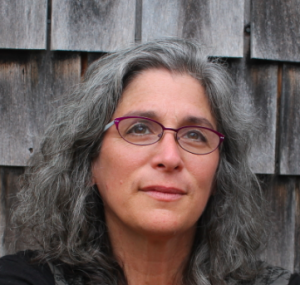 This month, Lori Gruen accepted a three-year appointment as a Faculty Fellow at Tufts’ Cummings School of Veterinary Medicine’s Center for Animals and Public Policy. Gruen is the William Griffin Professor of Philosophy, professor of feminist, gender and sexuality studies, and professor of environmental studies at Wesleyan. She also coordinates Wesleyan Animal Studies. The mission of the Tufts University’s Center for Animals and Public Policy (CAPP) is to conduct and encourage scholarly evaluation and understanding of the complex societal issues and public policy dimensions of the changing role and impact of animals in society. As a Faculty Fellow, Gruen will explore human-animal relationships with Tufts students by teaching classes, mentoring student research, leading service activities, and presenting public seminars under CAPP sponsorship. She’ll continue teaching at Wesleyan during this three-year term. Gruen’s research lies at the intersection of ethical theory and practice, with a particular focus on issues that impact those often overlooked in traditional ethical investigations (e.g. women, people of color, non-human animals). She has published extensively on topics in animal ethics, ecofeminism, and practical ethics more broadly, and is currently thinking about intersections of race, gender, and species and chimpanzees.